Tonight, Google is hosting one of their Campfire One events at their headquarters in Mountain View, CA. 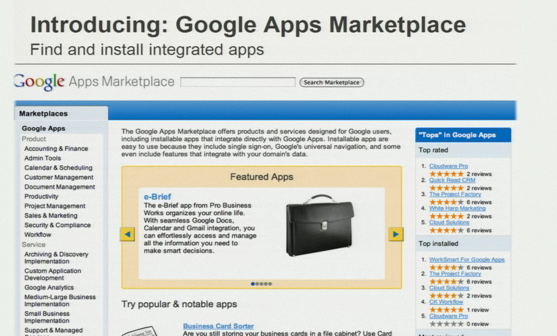 They’re using the event to launch their new Google Apps Marketplace. This is the app store that business applications can use to reach the more than 25 million people and 2 million business that use Google Apps for their domains. Below, find our live notes from the event. It’s also great for users. Build your app. And you don’t have to use App Engine. You can use whatever you want. 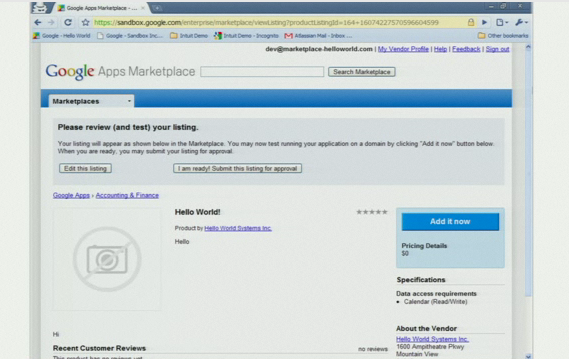 And you can sell your app in the Marketplace. What does Google ask in return? A one-time fee of $100. And a low 20% rev share. I want to walk you through the “how” now – build, integrate, and sell. Universal integration to Google Apps navigation system. We use OpenID to manage authentication. Single sign-on. 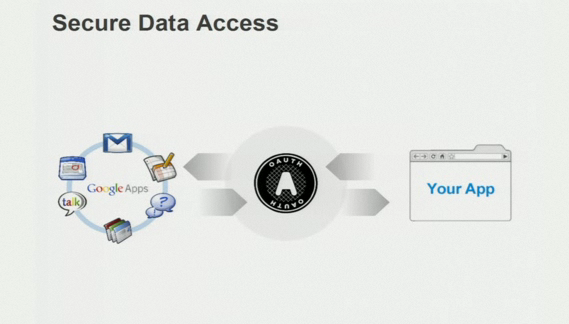 And we use OAuth for secure access to data. The OAuth grant of trust is built into the Marketplace. We have a complete manifest. Time for a demo. Here’s a developer showing off a “hello world” application. Easy step-by-step process to get your application in the Marketplace. It might take a couple of days for the app to show up in the Marketplace when you submit it. A domain admin simply then clicks the “Add it now” button. You can even see it in the apps drop down if you’re in, say, Gmail. 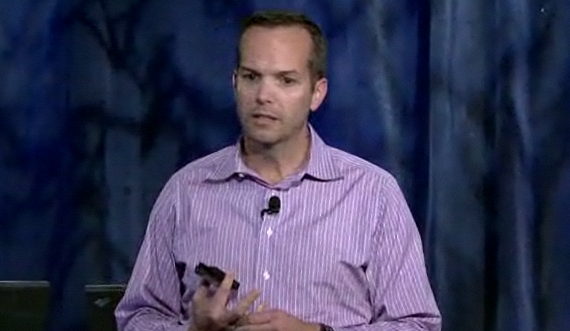 Here’s Intuit now showing how to take a real app – for payroll – to show how easy it is to itegrate. Intuit is the largest payroll provider in the nation. We usually serve small companies, many are less than 20 employees. You can easily embed your information inside of Gmail. The thing I’m most excited about is the studio activity bar. 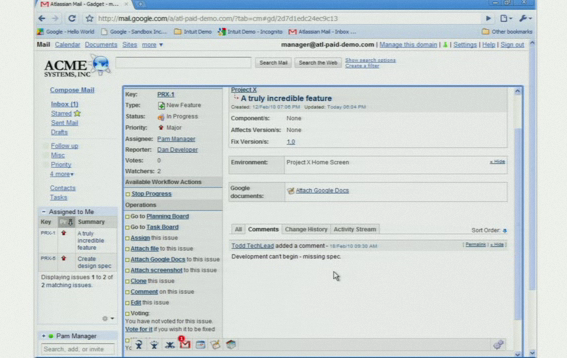 With this, Google Talk can be used for instant collaboration. All of this is available today. In fact it’s being used by 40 developers in a bus traveling from SF to SXSW in Austin, TX. Another demo, Manymoon – a social productivity app. We used open standards to convert free users to paid users. Everything you’ve seen so far will be live later tonight – for this next demo, it will be coming soon. 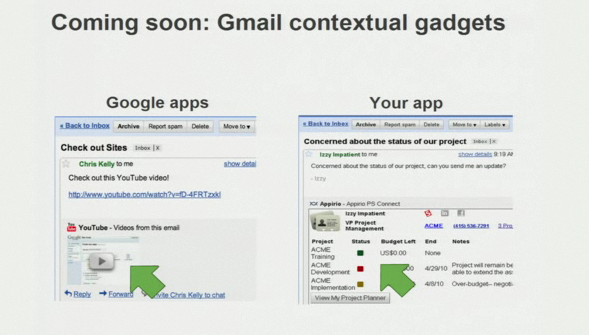 Gmail contextual gadgets – like when a YouTube video is embedded in Gmails – soon third-parties will be able to use this. 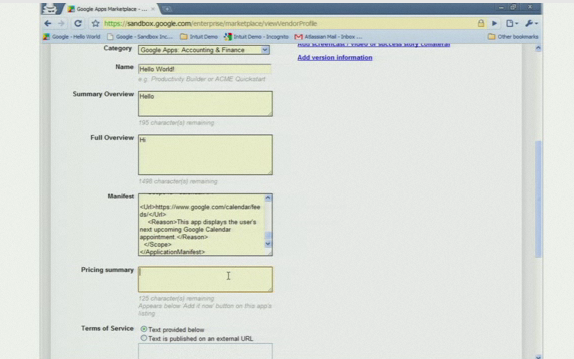 Here’s a demo from Appirio – a cloud solution provider. 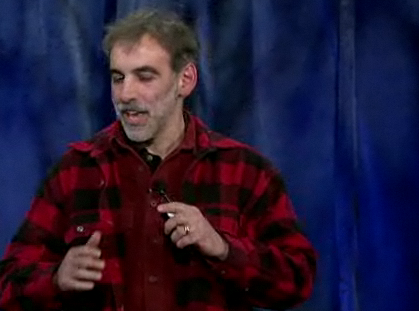 Glazer is now reiterating the main points about the Marketplace. 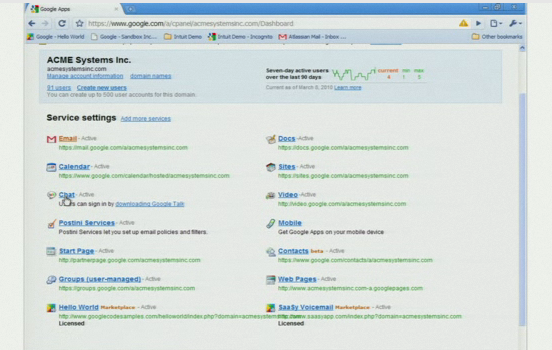 When I joined not only was there no Google Apps, there were no apps. Gmail launched soon after I joined. I joined to lead our enterprise initiative. It was the idea to take the innovation that happens quickly on the consumer side and putting it into the enterprise apps. Three years ago we started with a modest effort. In Feb 2007 we immediately signed up 9,000 business — now we have 25 million active users and 2 million business. And the growth rate is accelerating. Higher education has really started moving towards the cloud with us. And it’s happening in the Fortune 500 companies. And no companies that size have gone back. Though it’s still not perfect, even today. People always ask, ‘when are going to build x or y’ the answer is we probably won’t – we want to be a platform in the cloud. Because of that we can put emphasis on our existing apps. We’ll be talking more at Google I/O (which is already sold out).